Everlasting Capital is a national business finance solutions provider, redefining lending and financing by consistently providing outstanding customer experiences and innovative, world-class services with creative financing options. Last summer the firm called upon MEGCOMM Films to tell the story of a victory Everlasting Capital had with a client in Nanticoke PA. The company, Eclipse Fleet Service LLC, worked with Everlasting Capital and company president Joshua Feinberg to acquire capital to grow their company. Eclipse Fleet Service LLC provides commercial collision fleet repair and sales and service of new beverage bodies. The company also builds and installs new bodies and trailers for the beverage industry. One of their projects was a Super Bowl celebration wrap for a beverage distributor in Philadelphia. MEGCOMM Films is an Award-Winning corporate video, non-profit and television commercial production company serving the entire northeast. We specialize in telling stories that help companies grow their brand, raise capital and inform and educate their workforce. Our focus is on tasteful visual and emotional impact that delivers conviction. 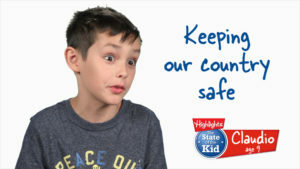 For the second year in a row MEGCOMM FILMS of Wilkes-Barre, Pennsylvania collaborated with Highlights for Children of Honesdale, Pennsylvania and Columbus, Ohio to produce the annual “State of the Kid” video production for 2016. State-of-the-Kid is an annual national survey of children ages six to twelve that is conducted to give kids a national stage on which to share their feelings on things important to them. The survey is in its 8th year with 2016 focusing on the presidential election and the uniqueness of the candidates, one being a woman and the other an unconventional non-politician. Results of the national survey are available online. The video production offers a component that is engaging, informative and entertaining. Highlights for Children State of the Kid on the Role! John Woloski ALLIED SPOTLIGHT from MEGCOMM FILMS on Vimeo. MEGCOMM Films collaborated with MLB Advertising of Wilkes-Barre to produce a 30 second television commercial and 3 minute web video for Allied Integrated Services, a rehabilitation system located in Scranton with additional locations around Northeastern Pennsylvania. John was at work serving as principal of Solomon Plains Memorial Junior High School when he was struck down by a stroke. He was taken to Hershey Medical center for evaluation and referred to Allied Integrated Services to begin the long recovery process. Through the support of his family and extensive therapy at Allied Services, John has made significant strides to Get Back to the Life He Loves. The interview was shot on-location at the Woloski home with rehabilitation sessions shot at Allied Services/John Heinz in Wilkes-Barre. The interview was conducted by MLB’s John Bartorillo, director of photography was MEGCOMM’s Mike Gorga and Tom Mooney was sound recordist and gaffer. The productions were edited in MEGCOMM’s HD editing suite in the Wilkes-Barre based studio. MEGCOMM provides a range of video services throughout the Northeastern United States and has crews on-call across the nation for our clients. MEGCOMM Films is an Award-Winning corporate video, non-profit and television commercial production company serving the entire northeast. We specialize in telling stories that help companies grow their brand, raise capital and inform and educate their workforce and customers. Video production since 1985. Recent work: Highlights for Children 2015 “State-of-the-Kid” Video. Do you receive an allowance? Should only the winning team get a trophy or should both teams get a trophy in a sporting event? Their answers were thoughtful and honest, and often very funny. MEGCOMM founder, Mike Gorga, conducted the interviews during a 2 camera shoot at the Lackawanna County Children’s Library in Scranton, PA. An additional child was filmed later on green screen in MEGCOMM’s Wilkes-Barre-based studio, and a background of a library environment was digitally incorporated. The project crew included MEGCOMM veteran Tom Mooney and another crew member, Owen Veneros. For the second consecutive year United Way of Wyoming Valley and MLB Advertising chose MEGCOMM Films to produce the non-profit’s annual campaign. The 2015 kickoff video features three individuals empowered by United Way supported services who used the opportunity to improve their lives. The video was shot at Guard Insurance, Catholic Youth Center, the Jewish Community Center camp near Harvey’s Lake as well as at locations in Wilkes-Barre, Kingston and Edwardsville. MLB’s A.J. Zambetti was producer/director, Mike Gorga was director of photography and camera operator and Tom Mooney was sound recordist. The video was edited at MEGCOMM in Wilkes-Barre, in HD editing suite A. United Way of Wyoming Valley used the video as a feature of their 2015 Kickoff event and will continue using it as an opener for continuing campaign events and on the website. 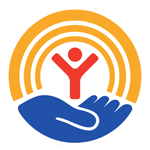 Please contribute to the United Way of Wyoming Valley.